Personalize your Graduation Mint Tin with a picture of your Graduate and a special message. 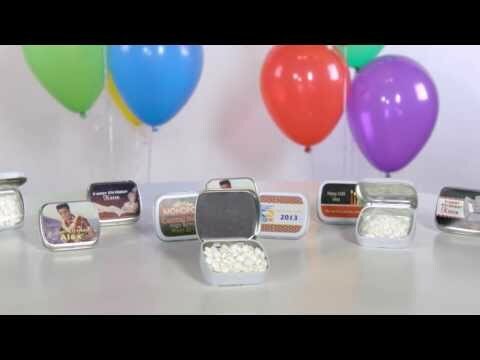 Each aluminum Graduation Mint Tin is filled with 1/2 ounce of peppermints and the tin itself measures approximately 2 1/2" long x 3/4" high x 5/8" deep. Assembly required.